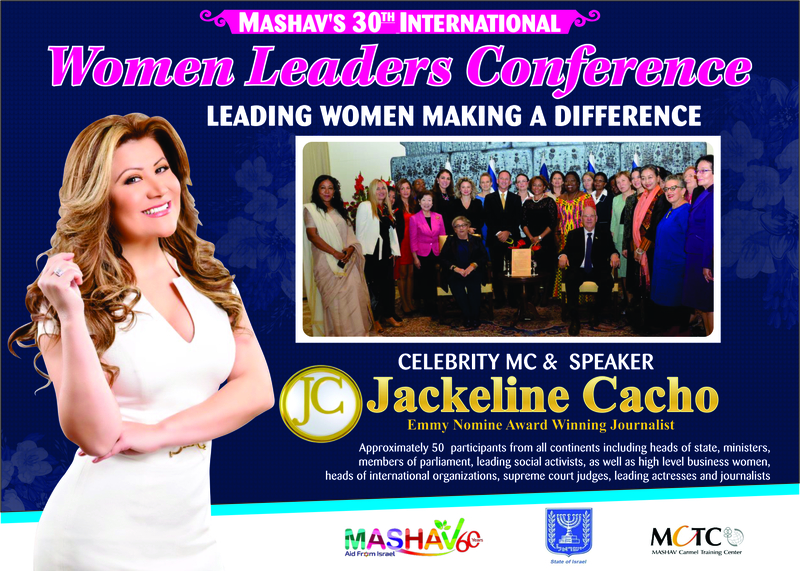 Emmy Nominee Journalist and TV personality Jackeline Cacho will participate in Mashav’s 30th Internationial Women Leaders Conference, taking place this May 28 in Israel. The Conference brings together approximately 50 participants from all continents such as elected officials, social activists, high level business women, leaders of international organizations, judges, leading actresses and journalists. 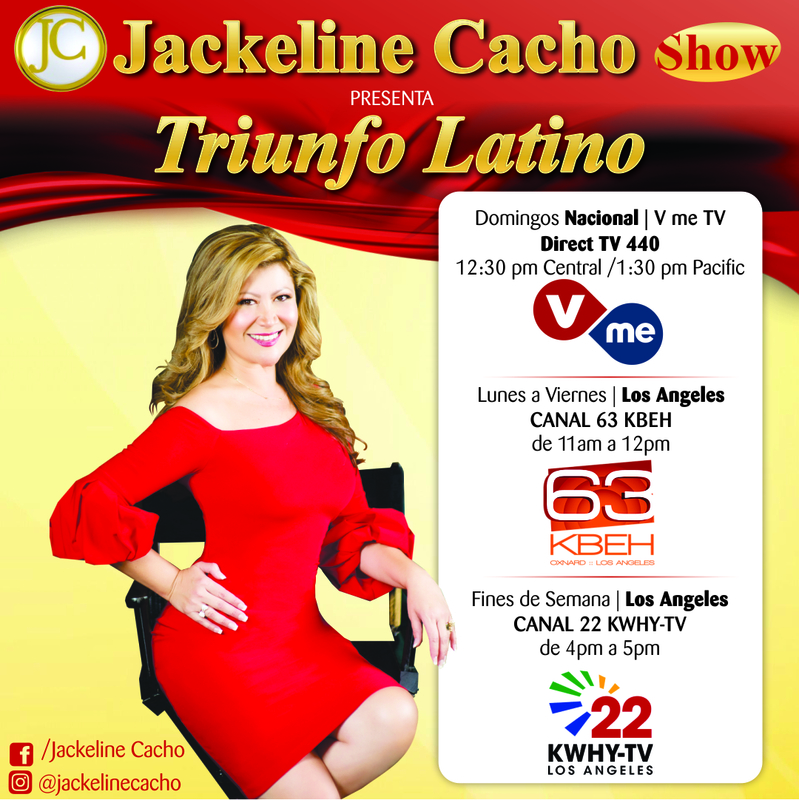 Jackeline Cacho is the host of “Jackeline Cacho Presenta Triunfo Latino,”the highest rated television program on the Spanish-language PBS network VMe TV. Seen in more than 40 cities across the country. Now in its sixth season, the show features guests who are making major strides to lift the image of Latinos and leverage their fame and expertise in helping communities all over the nation. In 2017, Cacho received two EMMY Nominations: Outstanding Entertainment National TV Show in Spanish and Outstanding Daytime Talent in Spanish. The show is also seen in Los Angeles, the #1 Latino market in the nation, Monday through Friday at 11 am on KBEH-TV Channel 63 and Saturday and Sunday at 4 pm on KWHY-TV Channel 22. Jackeline Cacho is a gifted journalist and role model for women who struggle with inner and outer challenges. While the path of her career has taken many turns, her commitment to her roots, her integrity and her quest to spotlight other successful Latinos has never wavered. From political stalwarts like former San Antonio Mayor and HUD Secretary Henry Cisneros to celebrities, influencers and activists, each show illuminates for viewers the hard work and dedication her guests have invested to reach their success. Jackeline’s career began as a beauty pageant contestant in her native Peru. She parleyed the contest into a modeling career and soon began a successful career as a television presenter resulting in an opportunity to move to the U.S. and an entree into the world of television news. Cacho’s career in journalism began at Telemundo’s Channel 48 in Houston, Texas. As her popularity grew, she was recruited by Univision’s affiliate in San Antonio as solo weekend anchor and full-time reporter. She soon became a special assignment reped for Univision’s national broadcast morning show “Despierta America,” and evening newsmagazine show “Aqui y Ahora,” as well as the National Network News Hour covering issues in the Middle East and Central America. In 2007, Cacho moved to Los Angeles to anchor and open the network news at Azteca America, the second largest Spanish-language network based in Mexico, City. This opportunity to anchor a national news broadcast opened many doors for Cacho, and introduced her to many luminaries of politics, entertainment and education. Los Angeles Ca had more to offer to Cacho who partner with Thene Muciño, a Mexican director and producer, and booth founded JC Vision & FProductions, a media marketing services agency with expertise in producing commercials and infomercials, corporate videos, music videos, live events and advertising campaigns and positive programming in Spanish. In a new direction for her, Cacho will soon release her first book in Spanish, “Mi Mochila Emocional,” chronicling her courageous fight with depression and anxiety attacks. Her gut-wrenching account of the disease and how it almost derailed her fast-track career path is meant to be a beacon of support for all who suffer from debilitating depression. From sharing stories with today’s Latino giants, to illuminating the struggles of her own life, Jackeline Cacho is a woman for the new millennium. She continues to spread her message of hope, the importance of hard work and determination and commitment to her Latino heritage in every new project she undertakes. With new chapters of life still to explore, she remains a work in progress…progress that benefits us all.